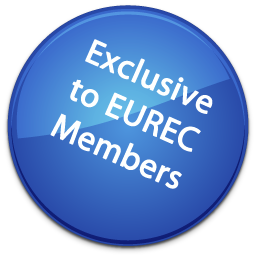 EUREC Newsletter is published every 3 months and includes EUREC latest news on networking events, ongoing projects, the two European Masters that EUREC coordinates as well as news on upcoming events. Greg wrote an article, "Driving renewable energy research and innovation in FP9”, for the online-only magazine Open Access Government (see p 268). The article featured some of the successful European projects suggested by EUREC members in the context of our 2017 "Projects Catalogue”. Vinicius has been in touch with you requesting this input (see his email of 29 June). The aim of the article was to show that the European Union should continue to make renewable energy research, as well as research in related areas, a priority. It gave publicity to recent statements from influential people calling for an increase in the EU research budget in FP9. EUREC is planning a tour of the Cabinets of Commissioners involved in energy and climate to promote the Projects Catalogue. This would happen in Q4 2017. Details to follow. In EUREC News #154 of 26 July 2017, we summarised insights on the shape of FP9 garnered from the statements of influential policymakers and several official reports released in the first half of 2017. There is another report to consider, the Research, Innovation and Science Policy Experts (RISE) Group’s May 2017 report, Open Innovation, Open Science and Open to the World. Figure 0S.2 of RISES’s report shows that "low success rates” is the most common complaint of 310 surveyed early-stage Principal Investigators in the neuroscience field. Likewise, the EC’s report on the Horizon 2020 Interim Evaluation survey says oversubscription was one of the "most commonly quoted issues”. Mary Ritter, another RISE Group member, wrote in favour of "general adoption of two-stage applications” and said, "Principal Investigator-driven funding opportunities should be increased: funds should be shifted away from large-scale collaborative projects towards PI-driven funding.” "Principal Investigator” is a term used in the context of the European Research Council, which funds frontier research (very low TRL). EUREC, in contrast to Ritter, considers the current level of funding for collaborative projects to be proportionate. The group K4I (Knowledge for Innovation) has contact with RISE, meeting them before August. EUREC is a member of K4I. EUREC has recently negotiated a collaboration with INITIATE! programme to promote their young talent initiative during the European Utility Week (3-5 October 2017). This event is Europe’s premier 3-day business and networking event for the entire smart utility industry. Thanks to this collaboration, EUREC Members can benefit from a 10 % discount in the conference passes for the European Utility Week 2017 and up to 30 EUREC Masters students will obtain free tickets to take part in the Ininitiate Young Programme as well as the conference. Copyright © 2011-17 EUREC E.E.I.G.